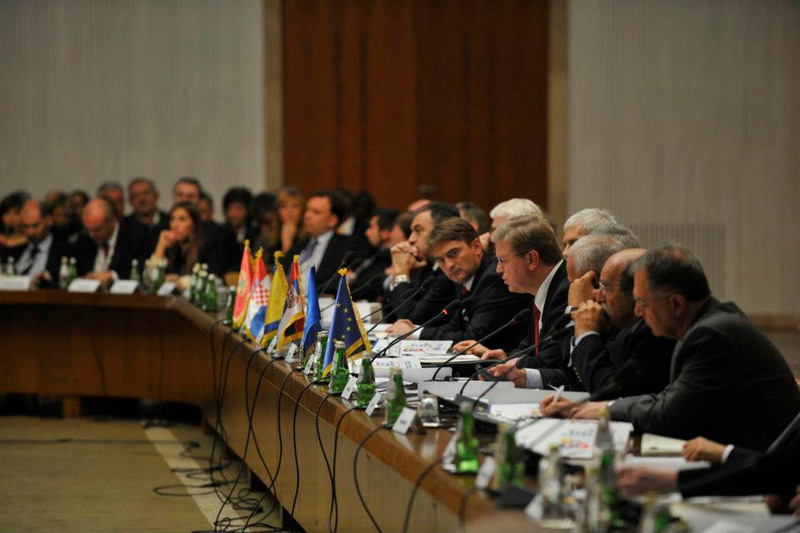 22nd Igman Initiative session titled “European perspective, cooperation and stability” of the region was held on October 14th 2011 at the Palace of Serbia in Belgrade. 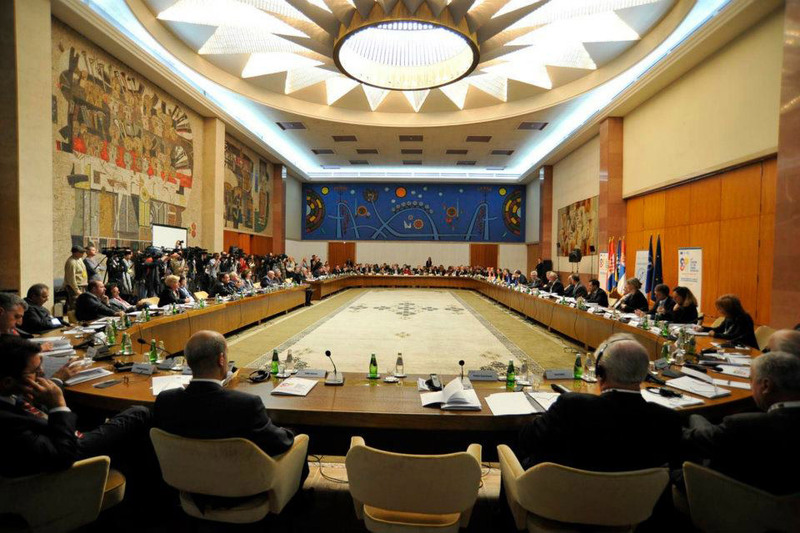 There were over two hundred participants, representatives of non-governmental organizations, international community, guests and journalists from Bosnia and Herzegovina, Croatia, Montenegro and Serbia. 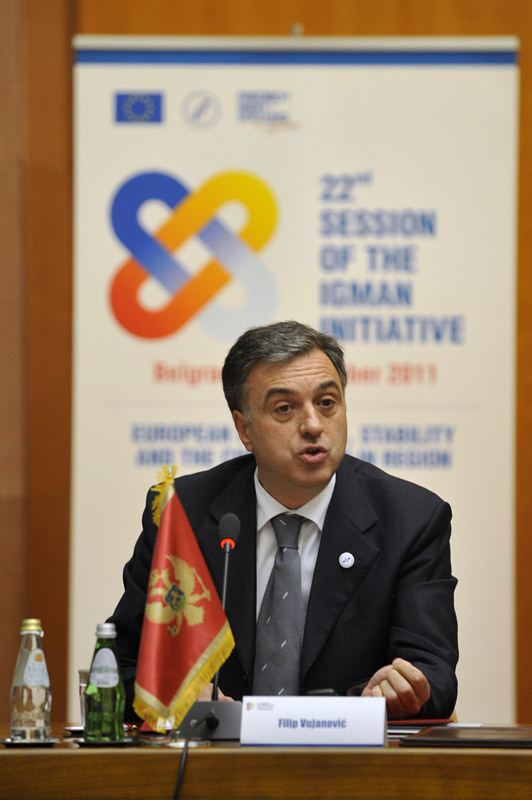 As host, Aleksandar Popov, co-president of Igman Initiative for Serbia, opened the 22nd session. 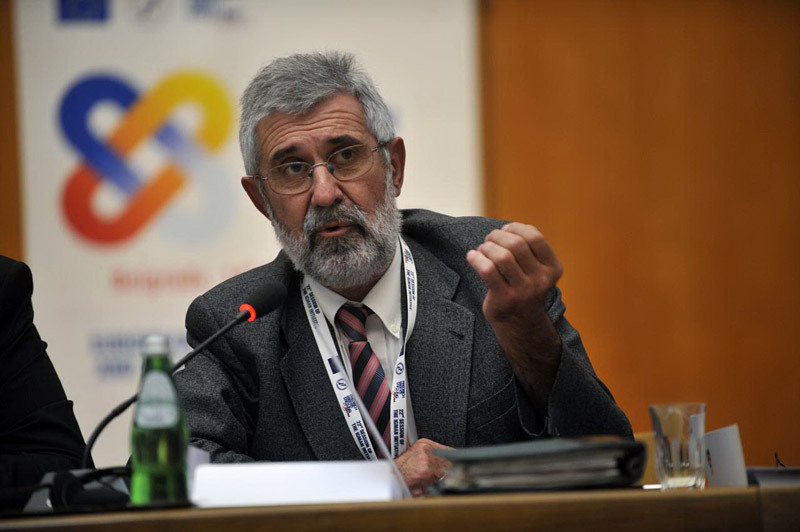 He invited all attendees to join him and observe a moment of silence in memory of Zivorad Kovacevic, longtime member of Igman Initiative Board. 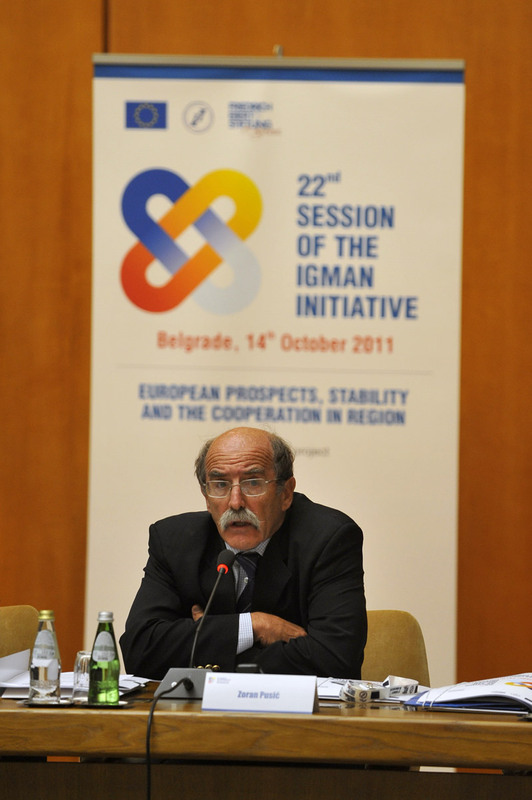 During the subject-related part of his speech, Mr. Popov stressed that this session’s title best described the results of their work, future vision of the region of countries signatory to the Dayton Agreement, as well as that it contained principles and values upheld by approximately 140 non-governmental organizations gathered around Igman Initiative, for the past eleven years. 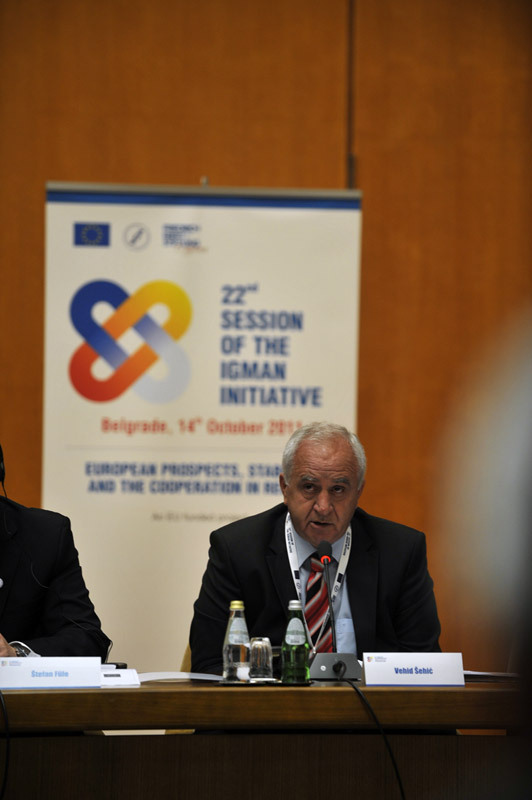 After the welcoming speech, attendees were also addressed by other co-presidents of Igman Initiative, Vehid Sehic, Branko Lukovac and Zoran Pusic. 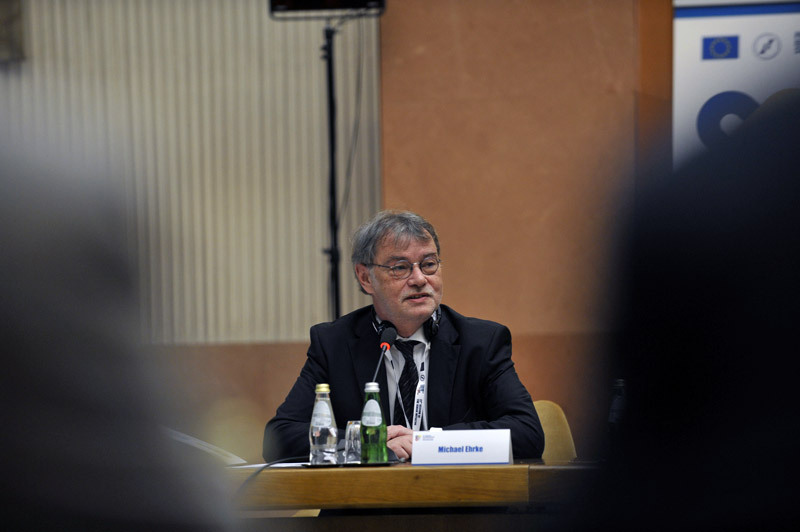 Director of the Friedrich Ebert Foundation – Belgrade Office, Michael Erke emphasized the importance of this kind of initiative, after his greeting words. 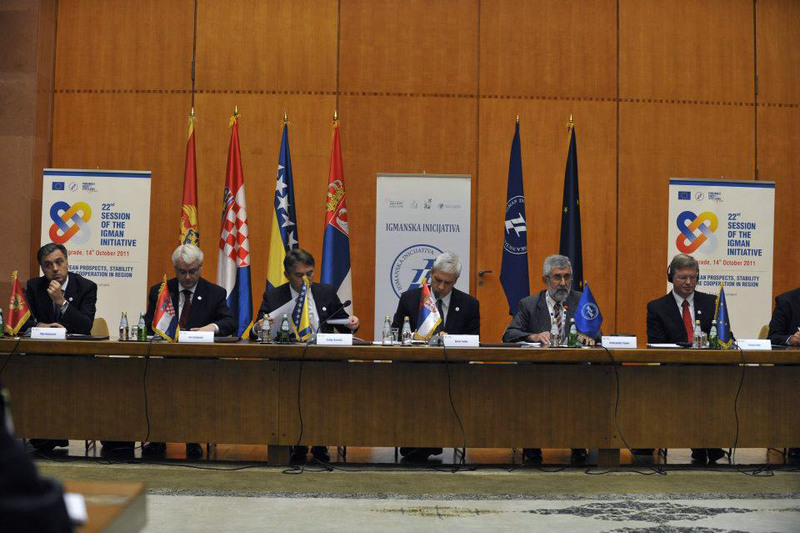 President of the Republic of Serbia, Boris Tadic, President of the Republic of Croatia, Ivo Josipovic, President of Montenegro, Filip Vujanovic, and the President of the Presidency of Bosnia and Herzegovina, Zeljko Komsic attended the session. After their individual speeches, all colored by a shared view on the need for neighborly relations in the region being one of the essential preconditions for the stability of each individual state, Presidents have signed a Joint Statement on Partnership in European Future. Their signatures represent, among other, an expression of their readiness to continue the spirit of constructive dialogue about this region’s European future, by means of “bilateral and current multilateral forms, including the Igman Initiative”. 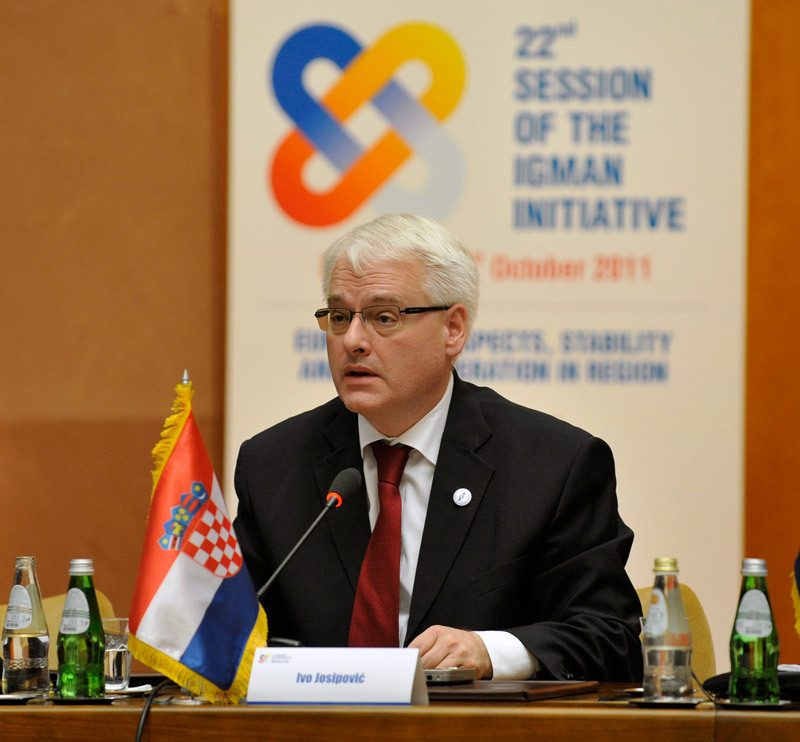 Mr. Stefan Fule, EU Enlargement Commissioner also took part in the 22nd Igman Initiative session. 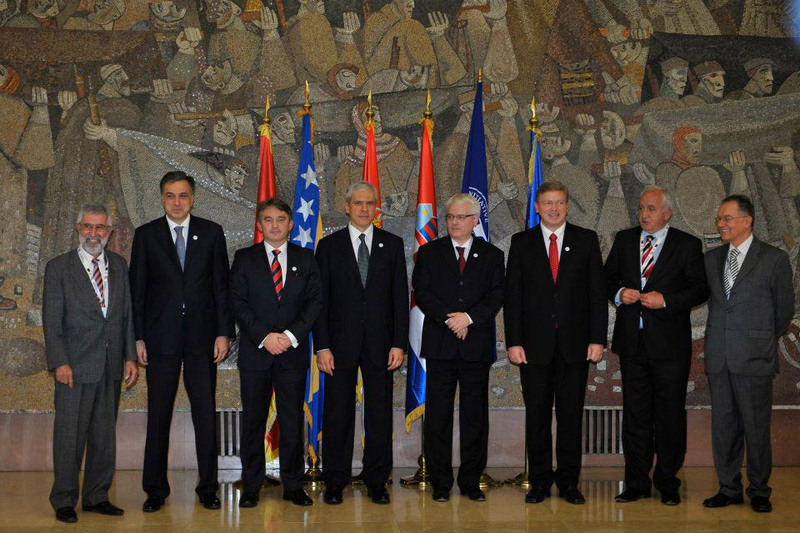 He pointed out, after welcoming, that this meeting opened up a possibility of true reconciliation, which was shown by the four Presidents’ signatures on the Declaration for European Future of this Region as Indicators of the readiness for a democratic approach to all problems. 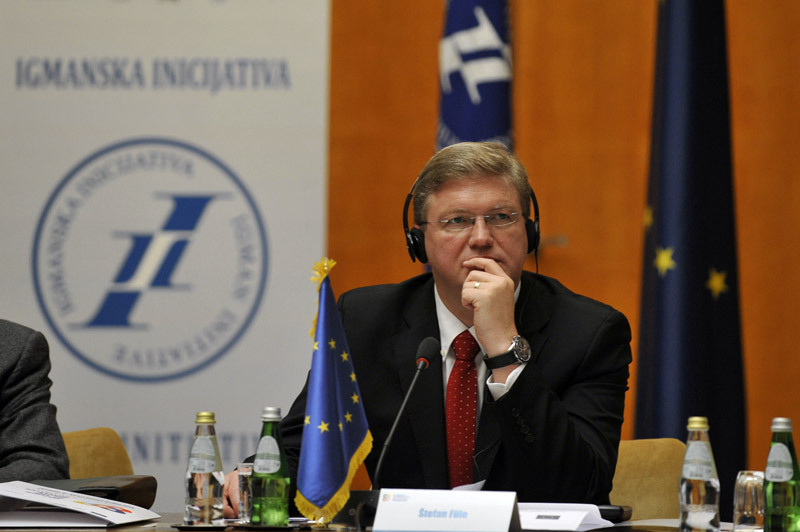 Mr. Stefan Fule also pointed out that West Balkan countries had accomplished a lot in regard of establishment of lasting reconciliation, understanding and development of regional cooperation. 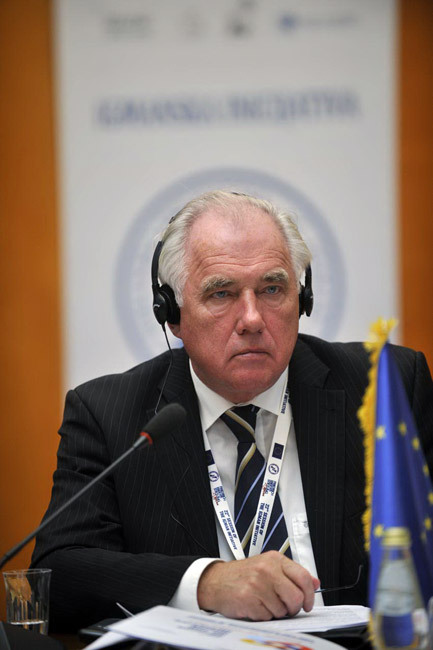 Reconciliation and cooperation were the key principles that underlined the recently adopted Strategy of EU Enlargement for 2011, Mr. Fule reminded the attendees. Emphasizing the importance of refugee concerns, he commended Igman Initiative’s efforts and promised EC’s support in search for solution. 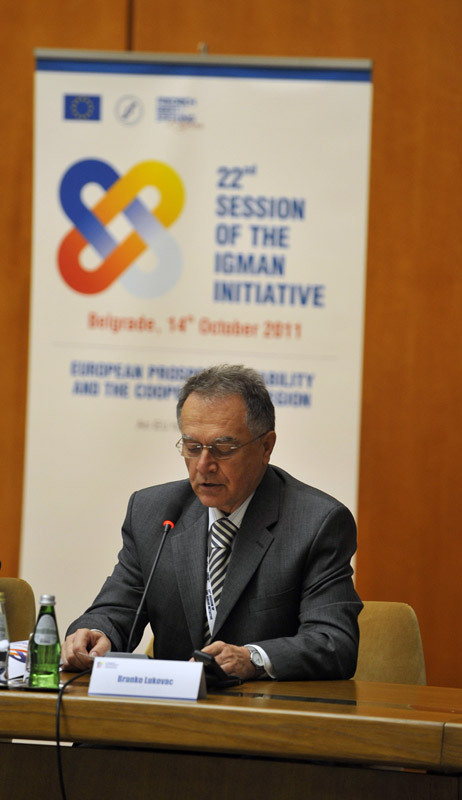 During the afternoon part of the 22nd session of Igman Initiative, Raif Dizdarevic, President of the Presidency of SFR Yugoslavia between 1988 and 1989, Beriz Belkic, President of the Presidency of Bosnia and Herzegovina between 2001 and 2002, and Radivioje Brajovic, President of the Presidency of Montenegro between 1986 and 1988 also addressed the participants. Halldór Ásgrímson, General Secretary of the Nordic Council of Ministers gave a presentation of the Nordic model of cross-border relations between neighboring countries, whose experiences may be of use in the process of development of regional cooperation between countries signatory to Dayton Agreement. The afternoon part also served as an opportunity to present the initial results of the expert team’s work within EU project focused on status and property issues troubling the citizens after the break-up of former SFR Yugoslavia. 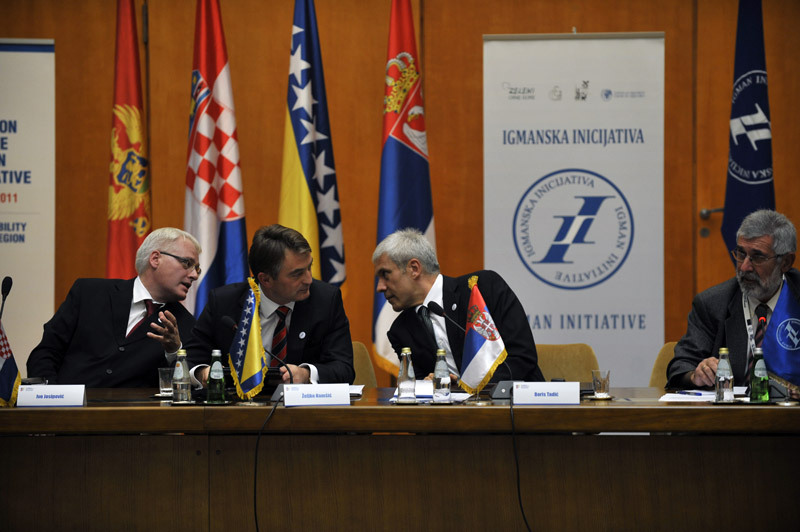 On Saturday, October 15th at the Hotel “Park” in Novi Sad, co-president of Igman Initiative in Serbia, Mr. Aleksandar Popov spoke about building partnership between EU and Igman Initiative. Work was continued by talks about future projects and activities among members of Igman Initiative. 22nd session of Igman Initiative was organized by a network of non-governmental organizations with the support of European Union and Friedrich Ebert Foundation.